One of the houses that flies under everyones radar is Miller et Bertaux. I really love their lack of trend following and general wearable outrageousness. From people so obviously Arty they work really well to create unusual, challenging, mood altering scents that also can be worn as a daily go-to. My personal thought is that spritz volume makes the difference. When I’m home alone sometimes I do 15 chest spritzes so they fumes engulf me, it’s really trippy. In the world though my usual 5 or 6 spritzes is ample, for some the openings could still be formidable. At Esxence in Milan this year as I was wandering through the overwhelming tunnel of scent I spied the miller et Beaux stand. Fortuitously the gent manning it was available and I wanted to tell him how much I loved their work. When I’m overwhelmed my social ability goes right out the window and so I walked up and blurted out with zero preamble how much I loved their brand and that I’d paid retail for three of their scents, and also had a backup of A Quiet Morning because something so exquisitely me could never last. So this handsome smiling man offers me the newest bottle in their range, that they’re launching. Embarrassed, I declined but when he offered a full set of the Miller et Bertaux range samples I jumped, knowing you guys would LOVE to try them too. There is a part of me that associates this fragrance house with what niche could have been if greed, laziness and cynicism didn’t become the overriding factors. Here’s a snapshot of the ones I’m giving away today. Many reviews to follow. New Study/Postcard 2017: Opening citrus is air mail adventure, the hearts warm fig is the arrival and dry down is a woodsy/sweet-fig-milk that could be the postcard on the fridge in the kitchen that gets looked at and brings a smile. A Quiet Morning 2008: This saffron, turmeric, woods fragrance doesn’t seem so new nearly 10 years from its inception but though the imitators have tried they miss the sheer effortlessness and comfort of wearing A Quiet Morning. Shanti Shanti 2008: Shanti (from Sanskrit शान्तिः śāntiḥ) means peace, rest. Rose, iris, spices and sandalwood, all backed by patchouli. It opens so cool and dewy before sizzling through the heart to a creamy, earthbound base. For You/Parfum Trouvé EdP 1 2006: Sweet and spicy like Indian cooking, yet a dewy rose keeps the whole fragrance cool. Once the woods flow through they stay focused and linear till dry down. The perfumes idea is to be a base/dry down. Spiritus/Land EdP 2 2006: Ahhhh, new incense sticks, soap and spices. Clean without the well worn connotations of marine and citrus. Like the ghosts of Australian Aboriginal Dreamtime Spiritus/Land floats through and above the earth. Green, Green, Green and Green EdP 3 2006: HA! Surprise, surprise this is a super green fragrance, yet through all the broken leaf and twig shines some soft focus florals and sweet herbs. A soaring green, like the birds smell at the top of trees. Please tell us in the comments which of the above Miller et Bertaux scents most interested you? Entries Close Wednesday 3rd May 2017 10pm Australian EdsT and winners will be announced in a separate post. The winners will have till Wednesday 10th May 2017 to get in touch (portia underscore turbo at yahoo dot com dot au) with their address or the prize will go to someone else. Do you ever read something that may or may not be related to anything in your life particularly and suddenly you feel as if this writer has taken an iron to the wrinkly thinking in your head and smoothed it out in one fell swoop? So that happened for me this week. I have been following, and reading, Design Sponge for years. It’s a great drop in design blog that feels so unpretentious and sensible, while still bringing me mind blowing ideas in a short burst of inspiration. Actually, I think these guys are the ones who took me out of trying to create Belle, Vogue Living and IKEA rooms. They helped me to understand that the things in my home have to work for my very specific mindset and life. Hardly an earth shattering epiphany, and ultimately a very first world problem, but it has made decorating my space infinitely easier. You might notice below that Jin is sleeping in our bed. I had to sneak in and get this shot while he was snoring his heart out. It has allowed me to really think about my eclectic mix of new, old, gifted, collected & hand me down and then how I can best fit it all into a home. Especially now that I’m sharing that home with an equal contender and pets. Sorry for the light reflections. TBH though Jin is happy as long as he has a huge TV with as many channel choices and extras as possible, a big comfortable couch with a table of some sort in front for food, a good mattress on the bed, functioning kitchen and a compact, easy clean bathroom. He has brought a few art pieces on our travels that adorn walls and has loads of kitchen gadgets but seriously, he would be happy in a bachelor flat with bed for couch. Jin built me the coat rack and photo rail in our hallway. Our combined family, closest friends and a couple of superstar autographs welcome you to our home. I love it so much. This is just some of the stuff we have hanging on the walls. They date from the 1960s and my parents choices to 21st century. It’s mainly Australian but there are a Liz Zorn, Dali and Greg Spalenka from overseas, among others. Here we find an interesting collaboration for the new DIOR handbags. Artist Ian Davenport. Below video Ian Davenport explains how he and DIOR created pieces that basically have me foaming at the mouth with desire. DIOR Lady is a handbag style, Lady Art are the ones done in collaboration with artists, very cool. Hello my favourite fragrant folk! 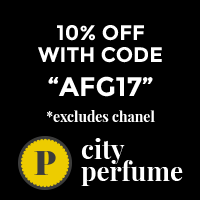 Earlier this year I developed a fragrance to accompany the scenic launch of Australian fashion designer, Alexi Freeman’s latest collection. The scent was released ambiently during the catwalk showing of White Noise trans-seasonal 2016 on the clifftops at MONA Museum, Hobart – possibly the most southern and most scenic catwalk in fashion history! “We walked uphill from the bitumen car park past lawns and sculptures. Looking out over the river we watched the mix of fashionistas and conventionally styled audience members drift in. We took our seats on heated benches beneath the ** installation, to wait for the fashion show to begin. We basked in the change from daylight to night, watching the silhouette of gum trees against a darkening sky. The sculpture’s coloured lights shifted through the rainbow, whilst seamlessly melding with the sky. All the while, the air was filled with colour, Ainslie Walker’s Nocturne. Rich, luscious fruits and florals – deeply velvet. Byron Meyer produced accompanying soundscapes which in turn carried ethereal gowns, white on white, floating and gliding past us: Alexi Freeman’s White Noise collection. Shorts and tank tops, beautiful gauzy dresses over bodysuits threaded with silver and textural contrasts of leather and perspex glowed under UV, surrounded by the darkness of night. A feast for all the senses. A subtle fusing and truly experiential. A sensory experience full of provocation. Nocturne limited edition candle from Ainslie Walker or Alexi Freeman’s Studio in Fitzroy, Melbourne. Please tell me about a scent installation you’ve attended? Hi Fumees! Hope you are well? I am a big fan of nose, Geza Schoen’s work, which includes creation of the Eccentric Molecules collection, many Ormonde Jayne fragrances, Beautiful Mind Series, the naughty Kinski and plenty beyond. Late last year I observed Geza was working on a project linking sound and scent, so I reached out and got in touch. A week later I received three fragrances with specific and intriguing instructions, printed on transparent paper, explaining the method behind creating the fragrances and allowing me to follow the same journey as the nose himself. A mixed tape from Geza Schoen? The project was called Ephemera, the initiative of Unsound – one of the worlds leading electronic and experimental music festivals. Clicking on the first video is a track by Steve Goodman (aka Kode9) which inspired Geza to create the fragrance ‘Bass” I open the fragrance whilst listening and watching the video by Marcel Weber. With bass sounds interspersed with crackling white noise, I inhale and smell earthy woods, dirty, smoky cigar, rum, lapsang souchong tea, mossy robust leather and castoreum seeping into my olfactory system. I see tan/reddish brown but I feel a dark green presence too…something slightly soapy. A woody, kind of dirty, aromatic. Neutralizing my nose I pop on the second track called “Drone” by Tim Hecker, whilst smelling the accompanying fragrance and watching the video, which I feel is a perfect match. Otherworldly…out-of-spacey and surreal to begin with visually…I hear an ethereal airiness in the music. Aldehydes sparkle and an almost citrus sharpness mix in a more hyper-real way with juniper trees, cold, possibly covered in snow…and there’s some definitely ‘unnatural’ aspects. Earthy and in time, getting more oily and rounded. Notes of patchouli, ambergris and vetiver pass by leaving a kind of cannabis and papyrus scent, which is not unpleasant, but strange. After a third break, Noise by Ben Frost begins dry, peppered and pencil case-like-cedarwood with a saffron sour tang. Birch tar smoulders, reminding me of the scent after an Aussie bushfire, very thick and ashy in its nature. (Seen before in Naomi Goodsir’s Bois d’Ascese, but still quite different) Continuing smelling the ash turns a little like welding, metallic. The notes make total sense when watching the film, which to me looks like X-rayed smoke!! Interestingly the bottles are handmade in Krakow (see my article involving Polish glass and vodka tasting for APJ last year: Borscht, Vodka and Tears) I like them a lot, especially the design printed on the thick glass. Which of the three fragrances do you want to try the most and why? What scents do you have at home that you would match to the videos/music?